We are the Walker Family. We have relocated to Port St. Lucie Florida and continue to serve ministries in the Spanish speaking world. We are developing video based training for pastors, mission organizations, and churches to provide solid theological and practical training to places where we can’t physically go. We moved after serving in Central America from 2007-2014 based in Panama City Panama to take on a new role of developing this project among Spanish language churches in the US. Chris Walker has taught on Evangelism since the early 1990s in the United States, Canada, Latin America, the Caribbean, and South America. He is currently an Evangelist in the Presbytery of the James, and a faculty member of the Dunamis Institute, a ministry of Presbyterian Reformed Ministries International. 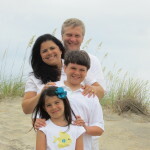 Chris was the Associate Pastor at Eternity Church in Richmond, VA, an international Church plant launched in 2001. Prior to that he was associate pastor at Christ Presbyterian in Richmond. He received a Master of Divinity from Trinity Evangelical Divinity School, Deerfield IL, and a Master of Theology from Union Theological Seminary, Richmond VA. In 2004, he was Millard Scholar of Evangelism at Union PSCE in Richmond. Chris has served as the moderator of the Evangelism and Renewal Committee, and a member of the Congregational Ministries Board of the Presbytery of the James. 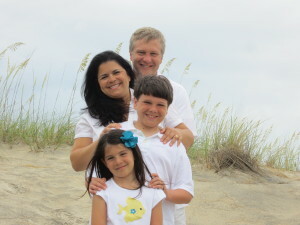 Brenda is the primary author behind www.MisManualidades.org and has been married to Chris since fall of 1992. She has developed workshops geared towards the training of children’s workers using crafts created from common household items. Prior to working with Chris in the mission field, she has been a Systems Programmer for Carmax, a Fortune 500 company based in Richmond. She has also served alongside Chris as a youth worker, and Sunday school teacher, and director of multiple outreaches and Vacation Bible Schools.